Born in Mie in Japan. He grows up in an environment where he has the possibility of approaching from his childhood to literature and music, and one of his first interests is the history of art, which he will undertake as a path of study. He graduated in 1954 in French literature at the prestigious Tokyo University. During the university period, he was interested in the history of French cinema and discovered the poet and screenwriter Prévert. Precisely from a work by the latter and Grimault, La Bergère and ramoneur, Takahata finds the lighting and inspiration to explore all that animation cinema is able to offer. In 1959 he joined the studio Toei as a student director, since Takahata was never a draftsman, where he learned the profession thanks to the staging of several feature films. 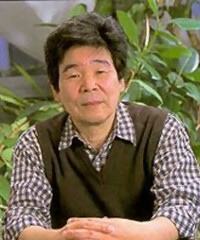 In 1965 Takahata entered his first directing with the feature film The secret of the sword of the sun (Taiyo no oji Hols no daiboken), the animation director is Otsuka and Miyazaki deals with the characterization of the characters and backdrops, but also brings many ideas and solutions that contribute to the graphic design of the film. For Takahata it is a personal starting point and also a formal research program. At the same time this feature marks the beginning of a common journey with friend and colleague Miyazaki Hayao. But precisely because of their artistic ambitions both Miyazaki and Takahata become bulky figures to Toei and so they collect Otsuka's invitation to join them at A Production, a subsidiary of Tokyo Movie. The first work he deals with is Heidi (Arupisu no shojio Heidi) in 1974, which is a huge success, followed by about twenty similar series including Marco (Haha wo tazunete sanzenri, literally Thirty thousand leagues to find the mother, From the Apennines to the Andes of Heart) in 1976 and Anne of Green Gables (Akage no Ann) in 1979 signed by Takahata. In 1984 Nausicaa of the valley of the wind (Kaze no tari no Naushika), which Takahata produces and Miyazaki Hayao directed gets a huge success but pushes the director to clash with the requests of producers about his upcoming films. So in 1985, thanks to the help of Tokuma Shoten, Miyazaki and Takahata managed to realize their dream and found their own animation studio: Studio Ghibli. In 1988 both Miyazaki and Takahata reached a very high peak of their production, with signs destined to last over time and to influence the collective imagination. In fact Miyazaki directs My neighbor Totoro (Tonari no Totoro) whose profile will become the symbol of the Ghibli studio, while Takahata signs the direction of Grave of the Fireflies (Hotaru no Haka), a sad story that has as protagonists two children in Kobe during by the second world war. Since April 1995 Takahata is in the teaching body of the East Koganei Village School of Animation, a school founded by Studio Ghibli in order to train the new authors and directors who will take the reins of the study. 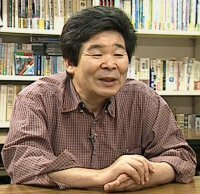 The interest of Takahata Isao focuses on the human being and animation is the privileged territory for studying the problems and dreams of contemporary man. In his latest work My neighbors the Yamadas (Houhokekyo tonari no Yamada-kun) of 1999, Takahata in fact puts the Yamada family at the center of the story, an average family seen in everyday life with lightness and humor. The technique of the film changes radically abandoning the traditional design on acetate and turning to computer graphics, but giving the impression of a rough line, as if the characters had only been sketched on paper and taken. If Miyazaki is distinguished by his often surreal works and his fantastic worlds, Takahata is certainly specialized in the representation of reality, not failing to arouse strong feelings and deep reflections in the human soul.